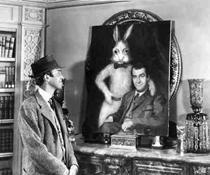 Overview - The classic fantasy/comedy based on the Pulitzer Prize-winning play starring James Stewart in one of his finest performances as the good-natured Elwood P. Dowd, whose constant companion is Harvey, a six-foot tall rabbit that only he can see. When Elwood's sister Veta Louise reluctantly decides to have him committed to a mental hospital, a wonderously funny turn of events occurs. "Years ago my mother used to say to me, she'd say, 'In this world, Elwood, you must be,' -- she always called me Elwood -- 'In this world, you must be oh so smart, or oh so pleasant.' Well, for years I was smart. I recommend pleasant. You may quote me." There's a fine line between intelligence and cynicism, and as we grow older and wiser, as the pressures of life bear down upon us, it can become increasingly difficult to remain upbeat… to remain kind. As the status quo of normalcy becomes increasingly hostile, to some, simple affability can seem like insanity, and those who dare to be friendly are greeted with skepticism and snickers. Such is the case for poor Elwood P. Dowd, the sweet, congenial protagonist of the 1950s classic, 'Harvey.' Dowd is deemed mentally ill by those closest to him, if for no other reason than his genuine friendly demeanor. Well, that and the fact that his best friend is a giant, invisible rabbit. That might also have something to do with it. This "unique" companion has become the source of much strife between him and his family, and it seems like everyone but Elwood can clearly see that this friend is nothing but a figment of his imagination. After all, invisible talking rabbits can't actually exist… can they? A charming, funny, perceptive, and wonderfully sweet film about kindness and acceptance, 'Harvey' reminds us that normalcy isn't always all it's cracked up to be. 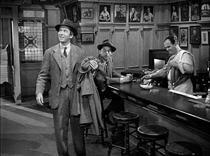 Based on the Pulitzer Prize winning play written by Mary Chase, the film focuses on Elwood P. Dowd (James Stewart). An especially congenial, pleasant, and altogether swell guy, Dowd is one of the nicest people you're ever likely to meet. Also, his best friend happens to be a 6' 3.5" anthropomorphic rabbit named Harvey that only he can see. Tired of the constant embarrassment this invisible friend causes, Dowd's sister, Veta (Josephine Hull), plans to have her brother committed. Unfortunately for her, there is a big mix-up at the sanitarium, unleashing Dowd and Harvey back on the streets. As the staff tries to track down the elusive man and his giant bunny friend, it's slowly revealed that there might be more to this "imaginary" animal than first meets the eye. Like most stage play adaptations, 'Harvey' is a dialogue heavy affair, and thankfully the writing is rife with charming wit and fast-paced verbal sparring. The characters' conversations are filled with humorous, densely packed exchanges and the film gradually builds upon various misunderstandings until the situation finally gets out of hand, resulting in comical hysteria. The script's sense of humor is both incredibly smart and wonderfully simple, and there are even a few slightly risqué references (for 1950, anyway). Physical comedy also helps to elicit laughs and create an overall fanciful tone, especially repeated bits of business that involve Elwood's attempts to open doors for (and keep them from closing on) his pal Harvey. Staging is also paramount for the success of the comedy, and director Henry Koster demonstrates a keen eye for blocking and a brilliant sense of timing. Not just content to let the characters ramble on and on within the frame, the director never loses sight of the fact that he's making a full-fledged motion picture. Seemingly simple and potentially mundane sequences are given a little extra spark of life as Koster keeps the actors busy and multi-tasking. An early scene that sees Veta and her daughter complaining about Harvey, features the characters simultaneously preparing the house for guests as they speak, adding visual activity to a potentially static situation. Similar bits of physical business are common place, and the director will often take things one step further, unobtrusively enriching the narrative through the form of his filmmaking. Long takes, wide masters, and reframing shots all help to sustain the comic absurdity of the narrative, engendering a brisk, escalating pace that feels uninterrupted. Camera movements are not only functional but also purposeful. One particularly noteworthy extended shot features several characters exiting a scene, only for the camera to then come back and retrace its movements in the opposite direction as new characters enter. It sounds simple, but the results allow the director to maintain the escalating momentum while simultaneously adding visual energy to the scene. Likewise, Koster's compositions are often littered with little details, and the director uses the entire frame to his advantage in a manner that is both economical and artistic. By frequently keeping all of the actors in shot together, the bustling compositions give the audience freedom over where to place their attention, and various tiny nuances and subtle gestures add emotional subtext. While there are several long takes, traditional cuts are also used, and specific close-ups help to add impact to certain reactions. This all adds up to a modest, deceivingly straightforward style that perfectly suits the material, placing an emphasis on blocking, pace, and performances. Speaking of performances, the cast is exceptional. 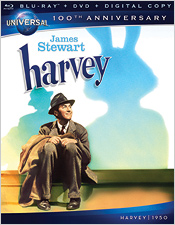 James Stewart is one of cinema's greats, and 'Harvey' is among his very best work. Elwood P. Dowd is a deceptively simple man, and Stewart plays the role with a childlike enthusiasm, uncorrupted congeniality, and endearing earnestness. Dowd deliberately makes a point to try to make friends with everyone he meets, always choosing kindness over cynicism. Along with his best pal Harvey, he spends most days with a perpetual smile on his face, seemingly in on some sort of secret that the rest of the world remains oblivious to. Of course, the character is also a bit of a drunk (but a very nice one), and Stewart adds the faintest hint of melancholy within his eyes and demeanor, hinting at past tragedy while keeping up the ambiguity of his mental state. At one point in the film, the character delivers a beautifully insightful monologue, and the actor recites the words perfectly, coyly hiding the answers to life's greatest mysteries in plain sight behind a knowing smile. Joining Stewart as Dowd's disapproving sister, Veta, is the hilarious Josephine Hull (who stars in another one of my favorite classic comedies, 'Arsenic and Old Lace'). Her hysterical reactions to the escalating misunderstandings provide the movie with some of its biggest laughs, and one particular account of how she was mistreated at the sanitarium is home to my favorite line. Peggy Dow and Charles Drake are also great as the comically feuding couple of Miss Kelly and Dr. Sanderson, the nurse and psychiatrist pair that Elwood attempts to play cupid to. Mention must also be made of Harvey himself, and while the "imaginary" rabbit never actually appears on screen, his presence is always felt. Together, the entire ensemble bounces off of each other nicely, handling the brilliantly escalating comedy of errors with charisma and genuine emotion. Beneath all of the goofball charm and biting wit, 'Harvey' is really a rather sweet and beautifully poignant film. Though light and funny, the movie also deals with many heavy concepts relating to happiness and societal pressures. Through Dowd and his floppy eared friend, the filmmakers reveal a powerful yet suitably simple philosophy of acceptance and above all, simple kindness. 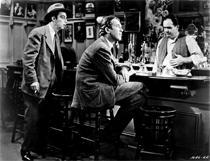 Though for much of the running time Dowd is thought of as nothing more than a drunken kook with an overactive imagination -- crazy or sane, he's revealed to be the most perceptive character in the film. Yes, his best friend is an invisible, giant rabbit, but he strikes up conversations with strangers, he asks about their day, he invites folks over for dinner… he does all the things we've grown too "smart" to do, and he does it all with a smile. If that's crazy, then we should all be so lucky. Full of heart, humor, and even a little bit of magic, 'Harvey' is a true timeless classic. Its themes are universal, and its charming plot is perfectly executed. James Stewart turns in one of the best performances of his career, crafting a character that chooses to be pleasant, even in the face of skepticism -- or, as he likes to perceive it, mere envy. With a modest but complementary visual style, the director subtly bolsters the content, successfully transitioning the narrative from the stage to the silver screen. Whimsical, poignant and capped off with a spark of wonder, the film is best watched with a good friend; preferably a large, invisible, anthropomorphic animal. Why, I watched it with a seven foot tall frog named Sir Ribbit. My family insists that he's not really there, but I think we all know better. Universal presents 'Harvey' in a Blu-ray/DVD/Digital Copy combo pack. The BD-50 disc is housed in a keepcase with the studio's 100th Anniversary cardboard slipcover packaging. A separate DVD disc and instructions for a downloadable digital copy are included. After some logos, warnings, and skippable streaming trailers, the disc transitions directly into the film, forgoing a traditional menu. The movie is provided with a black and white 1080p/AVC MPEG-4 transfer in the 1.33:1 aspect ratio. Authentic and surprisingly detailed, the film looks gorgeous on Blu-ray. The print is in nearly pristine shape, and outside of some negligible specks and a fleeting vertical line near the film's climax, there is absolutely no visible damage. A moderate to heavy layer of finely textured grain is apparent throughout, lending the picture a lovely filmic sheen. The image carries an often lifelike level of dimension and depth with wonderful pop. While several shots feature a comparatively soft quality, the majority of the presentation is home to sharp clarity, revealing fine details in clothing and faces. The cleverly staged and layered cinematography is resolved beautifully, highlighting all of the busy compositions and little nuances in the frame. Contrast is high without blooming, and blacks are consistent and inky. A wonderful example of a classic film transfer done right, 'Harvey' looks spectacular in high definition. Free of any unnecessary processing, the image retains an authentic, film-like appearance. The film is presented with an English DTS-HD MA 2.0 mono track, and Spanish & French DTS Surround 2.0 mono tracks. Optional English SDH, Spanish, and French subtitles are included. Though perfectly serviceable, there are some age-related issues that hold back the mix. Speech is fairly clear but does have a comparatively thin, tiny quality. Unfortunately, crackles, pops, and background hissing are audible in the track, and they can be a slight annoyance (the 01:33:00 mark has a particularly irksome but fleeting background crackle). Outside of these issues, the mix sounds decent for what it is, but the effects and score are faintly strained. With that said, the majority of the presentation is perfectly acceptable and there are many scenes free of any major problems. While the video is nearly pristine, unfortunately the same can't be said about the audio mix. The age-related issues are a minor annoyance, but they're certainly understandable and don't ruin the track. Long stretches of the film sound quite nice, and even when the crackles and hissing are audible, they aren't a huge distraction. Universal has put together a disappointingly slim collection of supplements, including an introduction by James Stewart and two 100th Anniversary featurettes that have nothing to do with the main film. All of the supplements are provided with Dolby Digital 2.0 audio and the same subtitle options as the main feature. Special Introduction by Film Star James Stewart with Photographic Montage (SD, 7 min) - Recorded on March 8, 1990, this is an interesting introduction from James Stewart that plays over a montage of production photographs. Stewart details why the movie is among his favorites, and discusses the story and his character. He also shares a few anecdotes about his experience working in a London production of the original play. 100 Years of Universal: The Carl Laemmle Era (HD, 9 min) - Previously available on several other Universal 100th Anniversary releases, this featurette focuses on the life of Universal founder Carl Laemmle. Some of his major contributions to the studio system are detailed along with highlights from the notable film's he produced. Fairly superficial and bearing no real connection to 'Harvey,' this isn't a particularly interesting inclusion. Theatrical Trailer (SD, 1 min) - The film's theatrical trailer is included. Charming, funny, sweet, and beautifully insightful, 'Harvey' is a timeless classic. Perfectly staged and full of great performances, the movie is home to a kind of whimsical simplicity that manages to carry deep themes and characterizations, along with a touch of magic. The video transfer is exceptional, with a nearly pristine print and wonderful clarity. The audio mix does stumble a little from age-related issues, but is still solid. Unfortunately, outside of a welcome introduction from James Stewart, supplements are very lacking. While a more robust selection of special features would have been nice, this is a fantastic film and a good disc. Highly Recommended.